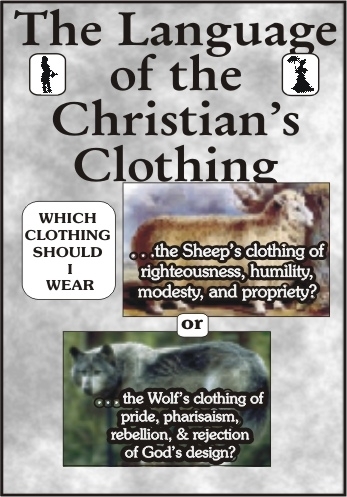 The most important clothing for the Christian is not the clothing of the body. The most important clothing for the Christian is the clothing of the soul. The Bible gives at least five types of clothing for the soul. Once a person is wearing the proper clothing on their soul, they will want to know what is the proper clothing for the body. INNER CLOTHING RELATES TO OUTER CLOTHING. Those who say that outer clothing is not important to God need to remember that clothing was the first area God dealt with in relation to Adam and Eve after they sinned. 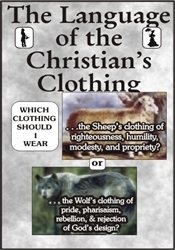 Since it is not possible to determine proper clothing by human reason, we must study God’s Word. Here we find what is modesty and what is nakedness, and what is proper and improper for both men and women.